When you are living on the plus size of life it’s easy to get discouraged by many of the ‘normal’ outdoor activities. Having the extra luggage to carry around 24/7 can get real tiresome.Trust me I know it’s easier to just not do these such activities, such as camping. Then when we do decide to brave the waters and head outdoors, we soon realize that not all camping gear is created equally. 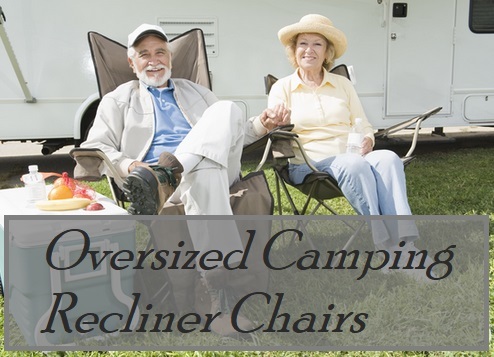 It may take just one broken or flat camping bed before you retire from the outdoors activity altogether. It’s just easier right. However, camping is way too much fun to miss out on. Big or small I say we should all enjoy camping as much as possible. While it’s not easy doing most things as an overweight person, we do have some resources behind us to help us get back on the horse. Such as these camping beds recommended for us heavy people. While sleeping is just one aspect of camping, it’s a pretty important one. Especially for us bigger guys and gals. To make sleeping under the stars that much easier, we have gone out and found what we think are the best suited heavy duty air beds and camping cots to cater to heavier weight capacities. As well as extra wide sleeping areas and preferably raised beds. More width will assist us to relax a bit more without the potential fear of flipping the bed or rolling off. The higher the bed sits from ground level the easier it is to get in and out of the bed. Which I know I’m concerned about when buying a camping bed. Plus it adds extra storage space beneath the cot, which is a huge plus if you are taking the family. Below you can find reviews and links to more products. With regards to achieving a hopefully successful camping trip, starting with a comfortable nights sleep in a oversized camp bed. The best heavy duty airbed/mattress for camping vs the best camping cot. You decide which camping bed is better for you. The high quality Big Man’s camping bed by Sound Asleep boasts an impressive 500 lbs weight capacity. While the weight limit is quite desirable, this air mattress has the lot if you ask me. Starting with the soft yet thick flocked top which I’ve found to be unbelievably comfortable. I think it may be the type of bed where you lay down once and before you know it, it’s morning. When fully inflated this bed is raised 19 inches from ground level which I believe is sufficient for us large folk. So getting up from a good nights rest is no longer a 2 person job from the ground floor. Whats more incredible about this camp bed is it’s comfort level. I think SoundAsleep have the upper hand on the competition with the innovative comfort coil technology. The mattress is compiled of 40 odd air coils spread evenly throughout the bed. The air coil pockets are meant to create an evenly balanced sleeping surface. These air pockets are like vertical beams supporting your entire body. Many ‘old school’ airbeds use the old horizontal formation. The horizontal beams tend to bubble and warp out of shape. But not with the vertical style of air support. They create a much more supportive foundation, even when you sit on the edge of the bed you don’t sag down to the ground. These are the ingredients for a super comfortable camping bed. The ‘Suregrip’ bottom of this bed is the gripping function so the bed shouldn’t move around during the night, which is a huge bonus for when you’re camping. The material used to finish this bed is high quality PVA. The multiple layer material is comprised of 15 gauge puncture resistance, which is topped of with a flocked suede like waterproof top. One click installed pump makes pumping this bed up so simple, and it’s done in mere minutes. Now that’s speedy. Comes with a handy storage bag too (easy to roll away). Easily my highest recommendation when it comes to a high quality durable camping bed for heavy people. Teton Sports have produced one mammoth of a camping cot, this thing has a huge weight capacity of 600 pounds. It’s even a little bigger then a twin size bed. The support system on this cot is ultra heavy duty which uses a patented reinforced steel frame. This design makes setting up and dismantling this cot super easy (in minutes), plus very strong. Which is a great advantage over the typical air mattress as it requires no power source to pump it up. Is the Teton XXL Cot comfortable enough as is?. With the addition of a sleeping bag, this strong canvas cot should be sufficient for most people. However for those that like the extra padding, Teton Sports have a XXL camping mat which compliments this big cot. As for measurements, this camping cot sits at 19 inches from ground level. It measures in at 40 inches wide and has a length of 85 inches, which makes it a good option for the big and tall. Overall this is one great camping bed for large people and even families. 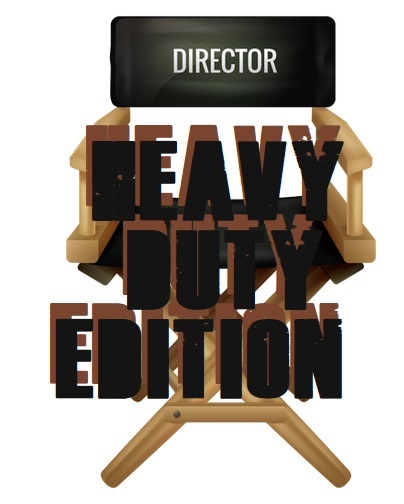 It’s very heavy duty and stable. So much so you could even sit on the end of the cot as a chair and it shouldn’t tip over and shouldn’t make too many squeaking sounds. It’s one heck of a big and strong cot for us bigger guys which I highly recommend. One of the hardest things about being overweight is getting in and out of things. Whether it be a sofa, recline, camp chair and especially a bed. In order to make getting off the ground easier as a larger person, you need to get a bed that sits higher off the ground than normal. Twin Size : This bed sits 23.5 inches from the ground. The air mattress being 6.5 inches thick when fully inflated and has a weight capacity of 300 pounds. Queen Size: This bed is ideal if you have the space to set it up. It has an impressive 600 lbs weight capacity and sits at over 30 inches in height. The air mattress is 2 inches thicker than that of the twin measuring in at 8.5 inches. Besides the extra height and weight capacity, the thing I love most about the Coleman Airbed Cot is it’s pure comfort. Like many of the Coleman airbeds, this one has their unique comfort-strong coil system. What this does is creates a solid foundation for sleeping on. So when you roll over and your partner is in bed as well, they won’t feel any movement from you. The internal coil system consists of air chambers that individually support your body. I like to imagine it like hundreds of soft pillars standing underneath you as you sleep to ensure the body is supported. So when you turn over during the night, the pressure isn’t shifted to the other side of the airbed like other air mattresses do. Instead these air chambers will take the pressure and support you no matter where you lay. A small inclusion that is very welcomed in our tent is the side tables. Now these are optional if you are tight on space. However, they are just too convenient for camping. The drink holder combined with space to put the smart phone and a book is just great. Finishing the airbed off is a cover which is zippered on to keep the airbed in tip top shape for longer. Setting up and taking down is not as frightening as you may think as well. However, I would suggest practicing it at home first with another person. All in all it’s a great camping bed solution for the heavier person that needs to be elevated high off the ground. 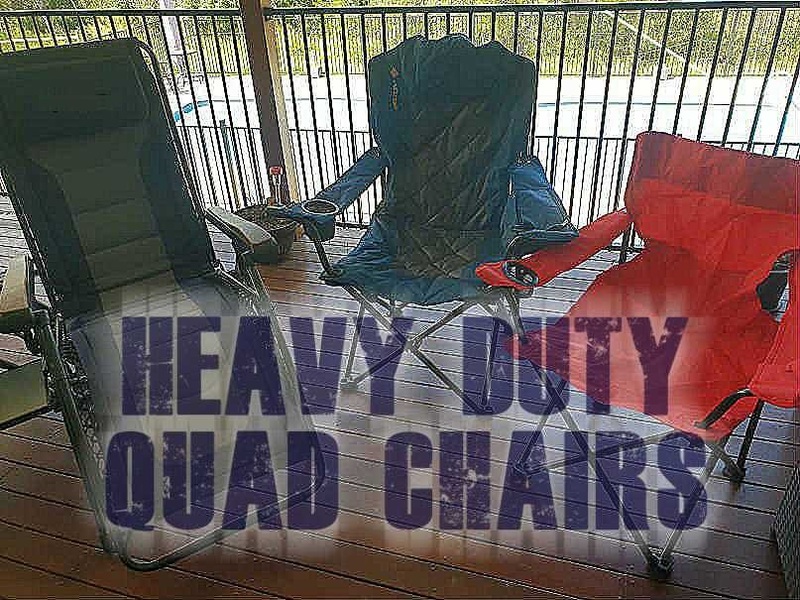 Short Video of 5 relevant camping cots suitable for us heavier persons. It needs to have at least 28- 30 inches high. As I cannot get up from a lower bed. Have not the strength in the legs to hold me. I cannot lay on my right side at all. The back gets minutes at a time. So I sleep on m6 left side at least 90% of the time. We have been looking for 2 camp beds we could use in a motor van allowing us to sleep overnight yet be able to fold them up so I can get my wheelchair in the va also. Two singles for one weighing 300 lbs the other 350lbs max. Hi Bob, Hope you had a great Christmas. Finding a camp bed that high off the ground is not easy at all. However, if you like the idea of a combination airbed and cot then this may help. The Coleman found HERE has 2 options. Twin or Queen. The twin site at 23.5″ off the ground and the queen sits at over 30″. The weight capacities are 300 and 600 Lbs. I hope this helps.